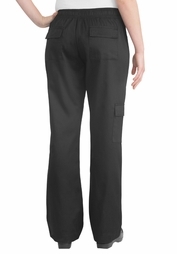 Our women�s chef pants are designed and tailored to flatter the female figure. These chef pants are manufactured in yarn dyed poly-cotton. The waist on these chef pants is a comfortable 1 � inch elastic with a drawstring. 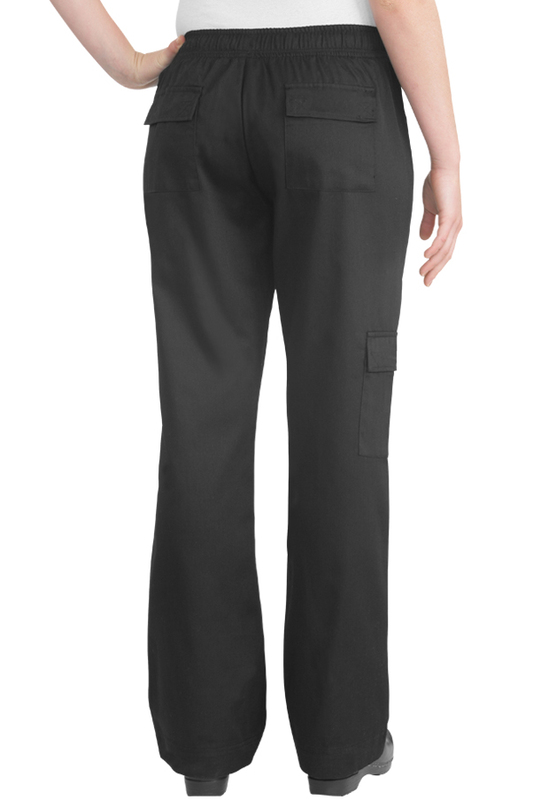 The cut on our womens chef pants includes a more generous hip and a narrower waist providing a more flattering fit. 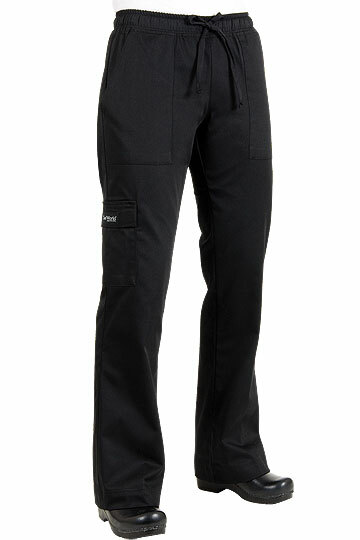 The pants are equipped with two side-seam pockets and two back pockets with flaps.